The wall shelves and peg rails are ideal for displaying favorite items in a visually pleasing way as well as creating practical storage throughout the house. Make beautiful displays of your favorite kitchen utensils, and decorative items such as hanging planters, beautiful linen tea towels, and ceramics. Add a sprinkle of fun to your nursery decor with these colourful wall shelves and use them to display your children’s favourite books and their latest drawings. Colour coordinate the shelving with cute wallpaper and duvet covers. 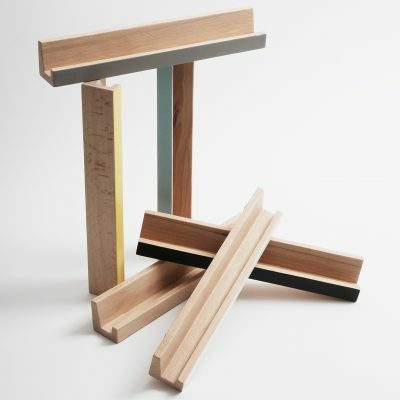 The peg rail is a modern take on the classic shaker peg rail. This modern design with its clean lines and minimal style comes with four pegs. You can also join a few rails together to fit your space. 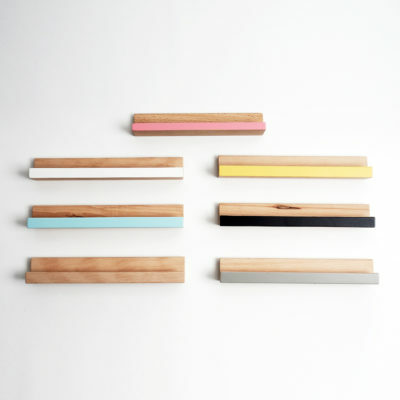 The peg rail is perfect for storing everyday items in a beautiful way. You’ll never have to wonder where you put your favourite items as you can use it to hang coats, bags, umbrellas or scarfs conveniently in the entrance hallway and better still it has a gap where you can store mail.Use this practical home accessory in the children’s bedroom to display their beautiful pictures and much loved objects, or in the bathroom to keep towels and dressing gowns close to hand.This is a made to order product. Delivery time takes an average of 2 weeks, plus the extra transit period, normally one week to the UK/Europe, two weeks rest of the world.